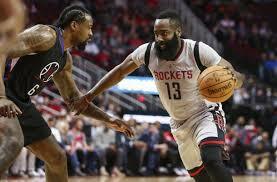 Wunderdog Sports Picks Blog - Win more bets today! The Mets (28-34) snapped an extended eight-game losing streak with Sunday’s 2-0 victory in the final game of their weekend Subway Series against the New York Yankees as heavy +242 road underdogs. This was just their third victory over their last 16 games. The total stayed UNDER closing seven-run line in that game and it has stayed UNDER in their last six games. New York will start this quick two-game series with Zack Wheeler as its starter. The right hander is 2-4 on the year through 11 previous outings and his ERA stands at 4.57 with a 1.38 WHIP. He has failed to get the decision in his last three starts, but he held Baltimore scoreless for seven innings on just three hits his last time out. 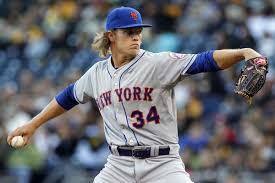 The Mets have lost their last seven games with Wheeler on the mound. Atlanta enjoyed a day off after dropping two of three games on the road to the Los Angeles Dodgers over the weekend. This followed a 2-1 series road loss to San Diego last week. The Braves are still tied with Washington for the lead in the NL East at 37-28 and they return home for this brief division clash with a 16-12 record at home this season. The total went OVER closing line in all three games against the Dodgers and in five of Atlanta’s last six games. The Braves will turn to Mike Foltynewicz as their starter for Tuesday night. He lost his last start against San Diego last Wednesday after giving up two earned runs on five hits in five innings pitched. The right hander’s overall body of work this season has been solid with an ERA of 2.31 complementing a 1.19 WHIP. His record stands at 5-4. The 2018 MLB Schedule action heats up this weekend with a solid list of series taking to the diamond as the first weekend of May has arrived. 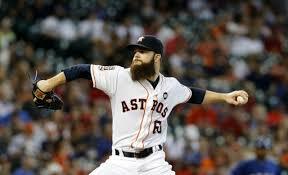 One of those series will take place out West, as the Houston Astros make the trip to Arizona to take on the Diamondbacks. For these two teams they enter this key Interleague contest sitting in first place in the American League West and the National League West. On paper this is an intriguing matchup between two first place teams that should deliver a ton of excitement for fans as well as a chance for sports bettors to cash in. The first game of the series will get rolling at 9:40pm as the Astros send Gerrit Cole to the mound while the Diamondbacks counter with Kris Medlan. Here is a quick look at the pitcher’s matchup for Friday Night. The Astros made a big decision to acquire Cole during the offseason and he hasn’t disappointed through his first six starts. Over that stretch, Cole has pitched to a 1.73 earned run average while allowing less than two earned runs in five of six starts (3 earned run in last outing). Cole has been overpowering for opponents striking out 61 batters over just 41.2 innings of work. Over the last three seasons, Cole has a 1-2 record against the Diamondbacks pitching to a 2.39 earned run average over 26.1 innings of work. After failing to land a MLB deal this offseason, the 32 year old veteran inked a minor league deal with the Diamondbacks. Despite some struggles at the Diamondbacks Triple-A affiliate, he will be making his first start of the season against a very good Astros team as he fills in for Robbie Ray who is currently dealing with an oblique strain. Medlen who showed promise during the 2013 season has battled through multiple Tommy John surgery’s over the past few years. Over the limited past three seasons, Medlen is 1-0 against the Astros in only one start while yielding two runs over five innings striking out seven. As these two red hot teams will look for some strong pitching performances the teams will also rely on their high-powered offenses to back those starters. Here is a quick look at a few of the key offensive weapons for each team. Carlos Correa – Correa is slowly becoming one of the games top stars while slowly developing an all around approach at the plate. Through the start of the 2018 MLB season, Correa is off to another strong start hitting .307 over 114 at bats with nine doubles, five home runs and 22 runs batted in. Over the last three seasons, Correa has dominated Diamondback pitching hitting .359 over 39 at bats with two triples and four home runs. Jose Altuve – Along with Correa, Altuve might be one of the games top faces as he continues to dominate night in and out. For Altuve, he enters Thursday batting .331 with two home runs to go with 15 runs batted in. Much of that success has come over his last seven games as he has at leat one hit in each contest (one double, two home runs and five runs batted in). The MVP has also produced against the Diamondbacks over the past few seasons picking up 21 hits over 61 at bats (five doubles, two triples and one home run). Paul Goldschmidt – The Diamondbacks All-Star first baseman has gotten off to a slow start in 2018 while watching his team get off a hot start. Through his first 31 games, Goldschmidt has hit just .250 over 108 at bats. That said the Diamondbacks first baseman has seven doubles, two triples and four home runs over 108 at bats this season. A.J. Pollock – While all eyes are on Goldschmidt, Pollock is putting together possible one of the best seasons in all of the Majors. The Diamondbacks outfielder is hitting .304 to start the season with 10 home runs to go with 25 runs batted in. Pollock is also a threat on the base path picking up seven stolen bases to start the season. Here is a quick look at the rest of the pitching matchups for the weekend series between the Astros and Diamondbacks. The final night of the season has arrived for either the Milwaukee Bucks or Boston Celtics as they square off in a pivotal Game 7 matchup on Saturday Night. While this is one of two matchups for fans and sports bettors to look forward to on Saturday Night, it might be the more intriguing matchup based on the importance of this contest. Now the big question on Saturday Night is can Giannis Antetokounmpo step up for the Bucks on the road. Meanwhile for the Celtics can they get another big time performance from Al Horford, as the team dominated the glass at home in Game 5? 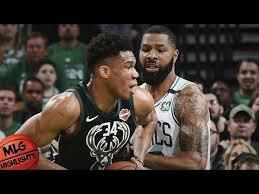 Here are the keys to the Milwaukee Bucks and Boston Celtics Game 7 matchup on Saturday April 28th, 2018 at the TD Garden in Boston, Massachusetts. For the Bucks they have the talent to run with any team in the NBA and the stars to take over a game in crunch time. That said for the Bucks to win this contest on Saturday Night they will need to take control of the glass from the opening tip while limiting the Celtics second chance opportunities while opening up some for themselves. In each of the previous three meetings in Boston, the Bucks were out rebounded on the offensive side of the glass while allowing more overall rebounds in two of three contests (in the third contest each team had 38). 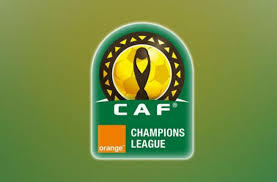 It could be the easiest of the game plans to design but for the Celtics to win this contest they will need to do everything they can to shut down Antetkounmpo. If this allows Malcom Brogdon, Eric Bledsoe and Khris Middleton to have better looks, that is fine. If the Greek Freak gets rolling, this could be the time for him to turn in an MVP performance while carrying his team to a much needed road win to roll on to the second round of the NBA playoffs. Entering their key Game 7 matchup against the Celtics on Saturday Night, the Bucks have been subpar on the road against the spread for sports bettors this year making them a difficult sports pick covering in just 22 of their 44 road contests this season. Those road struggles include all three contests against the Celtics this season while failing to cover in four straight at TD Garden. The contest heads back to Boston, as the Celtics will look to continue their success at TD Garden. On the year, the Celtics posted a 30-14 mark at home including the playoffs while covering the spread in 25 of those 44 contests. Along with that success the Celtics have dominated in contests with just one days rest covering the spread in 10 of those last 14 contests. All signs point to the Celtics in this contest as the home team has covered the spread in five of their last six matchups while the favorite has covered in five of their last six overall meetings. One key trend has been the fact these two teams have covered the over in 10 of their last 13 meetings at TD Garden. Toronto gave up some ground to Boston in the race for the top seed in the Eastern Conference with Saturday’s 110-99 loss to the Celtics as a 4.5-point home favorite. This was the Raptors’ fourth straight-up loss in its last seven games and they have failed to cover against the spread in their last eight outings. The total has gone OVER or ended as a PUSH in six of those eight games. Toronto is still 9-2 SU in its last 11 road games with a 7-4 record ATS. DeMar DeRozan scored a game-high 34 points while going 12-for-19 from the field on Saturday night, but it was not enough to keep the game close against Boston down the stretch. The Raptors were outscored 28-15 in that final quarter. Going 8-for-35 from three-point range did not help the cause. DeRozan continues to lead Toronto in scoring with an average 23.4 points per game as part of the team’s 112.3-point scoring average that is third-highest in the NBA. 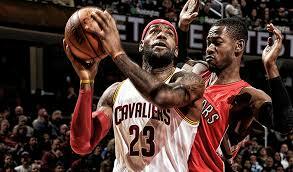 Cleveland beat the Raptors 132-129 on March 21 as a two-point home underdog. This was part of a current SU 8-1 run that includes Sunday’s 98-87 victory against Dallas as a 10.5-point home favorite. The Cavaliers have gone 7-1 ATS in their last eight games overall with the total staying UNDER in five of their last six outings. They are 6-0 both SU and ATS in their last six home games and the total has stayed UNDER in four of those six games at home. The Cavaliers outscored Dallas 25-10 in the fourth quarter to pull away from a tight three quarters of play. LeBron James was held to 16 points, but he dished out 12 assists to go with 13 rebounds to post the triple-double. Kevin Love added 13 points and 13 rebounds to the winning cause. Cleveland (47-30) remains a half game ahead of Philadelphia for the third seed in the East.